Colorado is one of our nation's most beautiful states. Famous for its natural attractions, Colorado is a mountainous state known for its rocky desert lands. With a state that’s so nature heavy, you can bet it comes with some standout experiences. 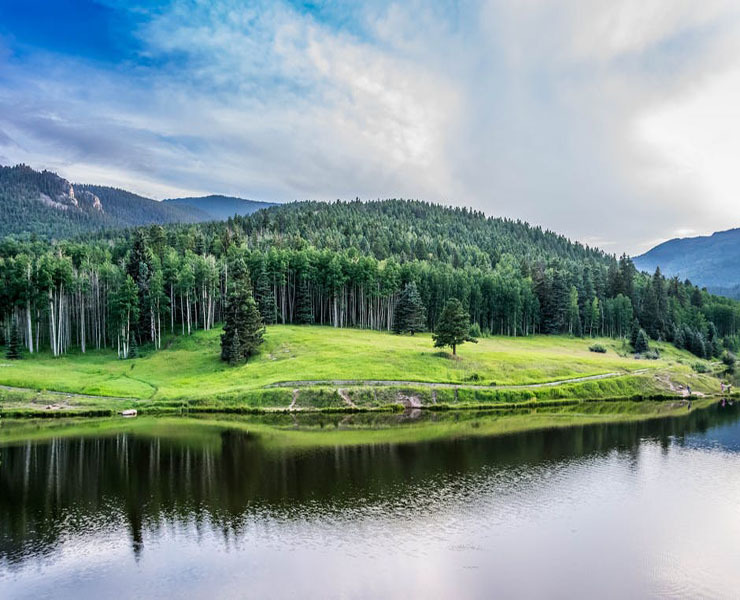 Even if nature and being at one with the outdoors isn't your thing, you can still enjoy an incredible time out in the wild when you visit Colorado. If you’re looking for experiences to prioritize, here are five to add to your to-see list. Despite being known for its sandy land, Colorado actually has some great ski slopes to explore. If you’re looking to get a little skiing time into your agenda, or even head out for a skiing holiday without having to go further north, head to the Colorado snow-capped peaks. With a range of resorts, you can find a slope to suit you, like Vail. And if you don’t have your own equipment, rental shops like Vista Bahn Ski Rentals can kit you out. Sometimes, all you need is your car, and you can create your own adventure. That’s certainly the case when it comes to Colorado. Some of the mountainous roads are super easy to navigate through, and you can take in some great views. The Pikes Peak Highway in Colorado Springs is just one of the routes you could take to enjoy the scenery and experience the change in altitude too. One for the kids or even the paleontologist in you is the option to take a look at authentic dinosaur tracks. With a collection of footprints and bones, the Comanche National Grasslands at Picketwire Canyonlands should be your first stop. They have a super-cool trail for you to follow - so make sure you take a camera as you’ll want to get some snaps. As well as visiting their 1,300 tracks, you could also head to ‘Dinosaur Highway’ in Morrison to see their collection of fossils. Colorado is a great state for those with a sense of adventure. If you want to get out there and make some waves, river rafting could be the ideal activity for you. Even if you, or someone in your group, isn’t a thrill-seeker, you can still enjoy time out on the water with some of the more leisurely rides. There are so many options to choose from, so whether you want to spend an afternoon out and about or book a full vacation for a week, you’re covered. With 158 rivers available, there’s sure to be an experience that suits your style and your skills. If water isn’t for you, you could always hike. In Colorado, you have a wealth of hiking options that will all blow you away. Whether you want to see the Great Sand Dunes National Park or head out into the wilderness, this state really has got every kind of nature experience covered. For a bit of the best, the Colorado Trail is 500 miles long and blesses you with lakes and wildlife, to name a few. Colorado is an amazing place that we love to visit as often as possible! One thing I am wanting to do there is white water raft! I have been rafting before in Costa Rica and loved it! Colorado is one place I could see myself moving to someday! Funny though as I have never been skiing in my life! As a Colorado resident and native you have this right. Colorado is so amazing, you can never be bored. Always something to do, see or visit. I love your 5 stand out experiences to have. Great! Love how Colorado has something to offer everyone in the family! Our boys would love to see those dinosaur tracks, and though I'm not a skier, can I just hang out at the lodge? What a beautiful place! I have always wanted to visit Colorado. While I typically think of skiing when I think of Colorado, there is obviously so much to do for the entire family. My kids would love seeing some real dinosaur tracks! River rafting and hiking are not my top favorite things to do while traveling but surely they sound exciting. I think there are beautiful views and sights to discover. I'd also want to try skiing. Oh wow, your trip looked amazing! I haven't been to that part of the world yet, but I'd absolutely love to! I'll surely be keeping these in mind! So flights from where I live to Colorado are super cheap so I purchase 2 last month to visit Colorado I am super excited. My friend just moved to Colorado a few months ago...her pictures look amazing!! I accept wait to visit her! Hubby and I have been talking about taking a trip to Colorado. While he has his intended destinations, These five are nowhere on the list. I think my little guy would enjoy visiting the dinosaur tracks. I, myself, would enjoy driving through the mountains.